When it comes to picture quality and detection ranges, one of the leading brands in trail cameras is the manufacturer Boly. It has been a favorite choice of hunting enthusiasts due to its fine quality and durability. Boly is a manufacturer with a well-established reputation, designed to help hunters realize their dreams of hunting success by arming themselves of the best trail cameras and gears. Whether it’s your first time buying a trail camera or not, Boly is a good choice. Since there are hundreds of models that you can choose from, we narrowed down your option to the top six best trail cameras in Boly. The following models are trail cameras of the best quality, reliability, and durability. First on the list is this Wireless game trail camera. It gives you the finest picture quality should you want to study a big game and their behavior in the forest. It helps to simplify your exploration with its lenses and excellent features. This trail camera is most suitable for both beginners and pros in hunting. The Boly trail hunting camera can generate a picture with 30MP resolution and 1080P HD video resolution. It can provide rich details that you will need for the analysis later on. This trail camera has approximately 100 feet detection, allowing you to capture animals at such wide range. It also has a 90-feet invisible black IR flash range. Rest assured that when capturing photos of the wild, the animals will not be startled or will be scared of the sudden flash. 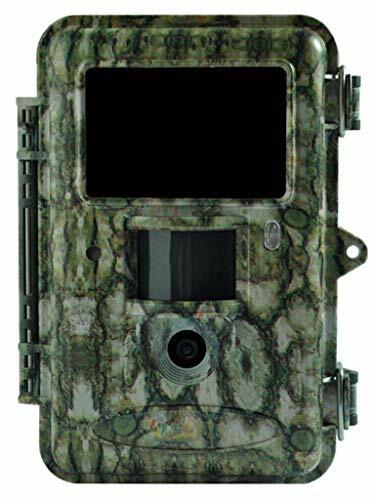 It also features a game call broadcasting and has a 3-inch integrated color LCD screen that allows you to adjust the settings and view the photos that your camera has taken while on the field. For better monitoring, you can install its free mobile application. It is suitable with Android, IOS, and windows, allowing you to monitor your game camera from anywhere. All of the photos taken are delivered straight to your phone, so you don’t have to go to the field and check the progress now and then. This feature is handy especially if the area is a bit far from your home. Also, this trail camera can support SD cards of up to 32 GB (not included in the package). In that way, you won’t have to worry about running out of space during the season. Take a look at the smallest trail camera available in the market. With this game camera, you won’t have to worry about a thief stealing your device when installed in the forest. Its tiny size makes it ideal for concealing the camera expertly while documenting the wild. Despite its tiny size, this game trail camera can produce images with 12MP resolution and 720P HP videos with excellent sound quality. High-quality photos are vital to one’s success in hunting. It allows you to study and anticipate the next move of your game. It also has 85 feet detection range, covering more area and increasing the possibilities of a great shot. Its 70 feet lighting range and 940nm black IR LED lights ensure that when taking photos, the flash won’t scare or startle the animals away. It’s also a great feature to lessen the risks of your device getting stolen while on the filed. Best of all, this is one of the most affordable trail cameras in the market. If you are on a tight budget, or you’re still experimenting with trail cameras, you should consider this product as your investment. If you’re on a budget, you should check out this cost-efficient model from the same manufacturer, Boly. This SG560K camera allows you to capture crisp and clear photos in both daytime and nighttime. 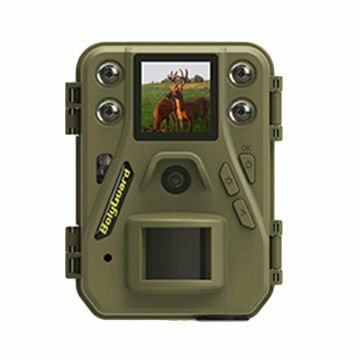 The trail camera features an 18MP image resolution and 1080P HD video resolution. In that way, you’ll be able to capture stunning images of the wild during the hunting season. Aside from that, it also has 100 feet detection and 90 feet invisible black IR flash range. The game camera will automatically take several photos once it detects motion within the perimeter. It ensures you that you don’t miss a chance of capturing a good picture of a deer or a coyote by startling them with the flash. Thanks to its Fresnel lens technology, you can increase the quality of your nighttime photos. Now you don’t have to deal with blurred, black and white images during nighttime thanks to this camera. The weather in the forest can be harsh. 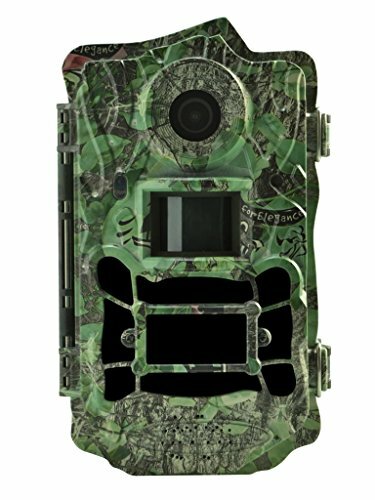 The solid construction and bulky plastic casing of this game camera will protect the system inside, being able to withstand the severe weather and elements of nature. 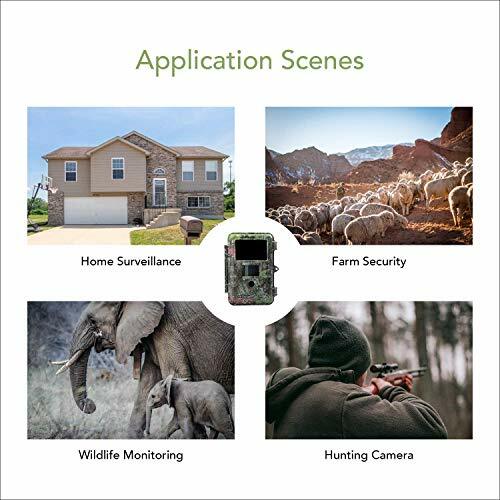 Best of all, this game camera is easy to use and operate. You don’t have to take too much of your time figuring out how it works. At a reasonable price, you’ll be able to take the sharpest and most excellent quality of the wildlife images. The Boly wireless trail camera is designed for an efficient documentary of the wild and capturing images of the target animal. This game camera is ideal for both novice and pros alike. With its durability and reliability, rest assured that you’ll be able to capture high-quality images of the wild. This trail camera can generate images of up to 14MP resolution and 720 HD video resolution. In that way, you can study the behavior of your target animal properly with all the details that you need. Aside from that, it also has a 100 feet detection range. It will increase your possibility of capturing movements of animals from a distance. Its 85 feet invisible black IR flash range will allow you to capture images of the game without startling them with the flash. The camera features an integrated LCD screen that allows you to view the captured photos while you’re on the field and adjust the settings when necessary. It also has native support for solar and external power options. Its flexible power requirements will allow you to increase the power of the device. You can download the free mobile application of this trail camera on your Android, IOS, and windows device. In that way, you can monitor the changes and have the photos sent directly to your phone without going to the field yourself to check it out. This 2060-X trail game camera allows you to study big games without risking yourself and achieving success in hunting. The device is designed to help you achieve success in hunting, and its no-motion blur technology is something worth considering for. The trail camera can generate images of up to 25MB photo resolution and record videos at 1080P HD with its audio quality. Thanks to its no motion blur technology, rest assured that you’ll be able to capture stunning images of the game moving fast without blurring the vision. Aside from that, it features dual focus with photo burst. Once it detects motion, the game camera will take several shots of the subject to ensure you don’t miss a thing. It also features game call broadcasting for your optimal convenience. You can view the photos and adjust the settings on its integrated two-inch TFT display screen. The trail camera is built durable and can resist both snow and water. 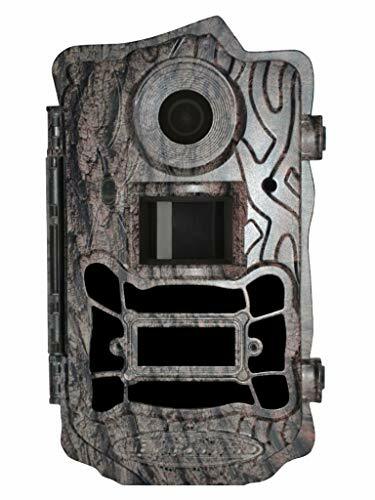 Take a look at this BG962-X30W trail camera. It features a 30MP image resolution and 1080P HD video, allowing you to enjoy the vibrant and crisp details of the photos. This trail camera is best suitable for studying big games and cold-blooded animals in the forest. Aside from that, it has 100 feet detection range that increases your chances of capturing any moving animals. Its 90-feet invisible black IR flash range ensures that when capturing the movement of the animals, you don’t startle them or scare them away with the flash. It also lessens the chances of your trail camera being discovered and stolen in the forest. It has a 110 degrees field of view that can capture any passing or traveling animals in sight. Thanks to its no-motion blur technology, you don’t have to deal with blurred images when checking the captured photos of your device. This trail camera has native support for both solar and external power options. In that way, you don’t have to continually change your batteries, helping you to save money in the long run. 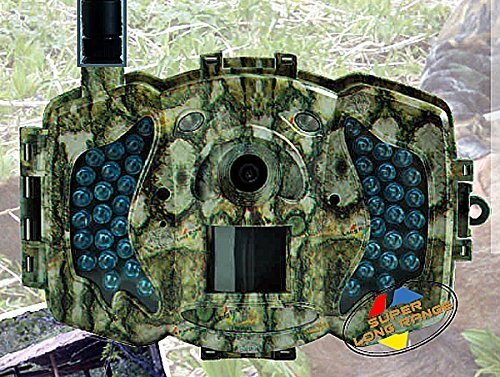 For our last product, we have the BG960-K18W game camera. It can generate images of up to 18MP and record HD videos of 1080P. Rest assured that the photos and videos of this trail cameras are those you can use for hunting analysis later on. The black IR infrared flash ensures you that when taking a picture, you don’t accidentally scare the game away. It has a 120-degree wide angle, allowing you to capture a broader range of animals traveling or passing by. Once it detects motion, the game camera will only take about 0.7 seconds to capture the action in photo bursts. Its integrated 2-inch LCD screen allows you to check the captured photos and recorded videos on the field. You can also adjust the settings of the camera when necessary. This trail camera is the latest model of Boly’s wide-angle camera solution.